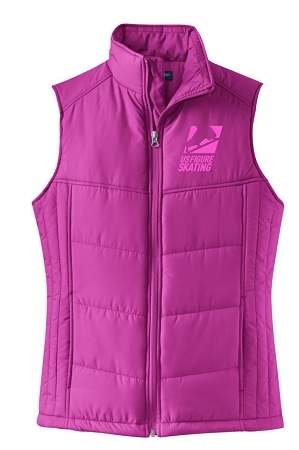 Keep the warmth centered on your core in our Puffy Vest. Great for layering over a long sleeve shirt or under a jacket. Purchased this vest for my skater Granddaughter for Christmas. She loves it and the fit is great. This is my second purchase from USFSA and it will continue!